Your wedding day may be the biggest day of your life, but the days and weeks leading up to this life changing event are also an essential part of the experience. It’s a time of hopes and aspirations, of anticipating and planning a future life together. 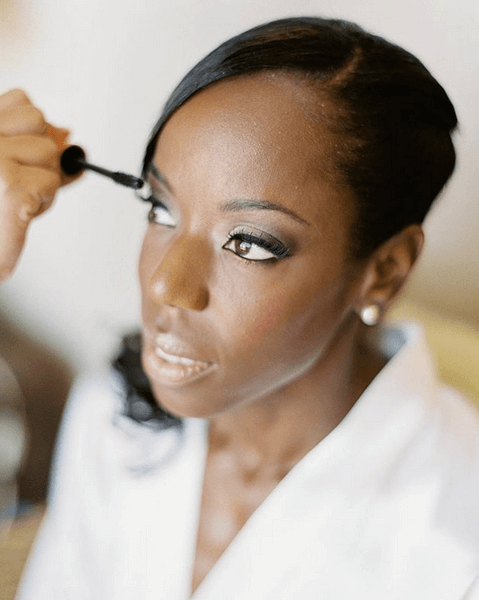 Because of the pressures of dealing with myriad last minute details for the wedding itself, however, this lead-up period can often be stressful for couples, and particularly for brides. But it doesn’t have to be that way. That’s the idea behind the recent trend of “early honeymoons,” and the reason so many couples are now opting for some destination based relaxation before and after the wedding. 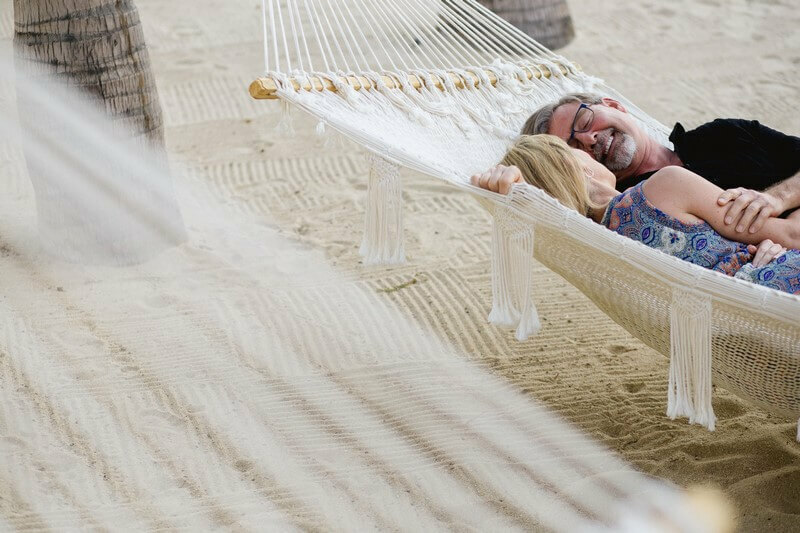 For soon-to-be brides in Cabo San Lucas – one of the most perennially popular of destination wedding spots – the relaxation possibilities are nearly endless. The Land’s End city has long been famed for its sun-splashed beaches, superb restaurants and high-spirited nightlife, as well as groom and groomsmen friendly activities like fishing and golf. For brides, however, the region’s top attraction continues to be its abundant, and abundantly pampering, spa services. Even in an area swimming in soothing world-class wellness facilities, Suzanne Morel Face & Body Care manages to stand out. SMFBC is the premier bridal hair and makeup stylist in Los Cabos, as well as the owner of the region’s most in-demand mobile spa. The latter feature means all the massages, body treatments, facials and mani-pedi services found at top local resorts, but with an added and priceless extra: we go to wherever you are, or wherever you’d like to be. It’s the ultimate in comfort and convenience. Think spa parties by the pool, in-suite hair and makeup, or romantic couples’ massages with Champagne and scented candles. It also means brides are in their element, with total control over the details, from time and place to music and lighting. At a busy time when it’s often a struggle to keep all the details straight, feeling completely in control of anything – especially in a friendly and relaxed atmosphere – is a very good feeling indeed. 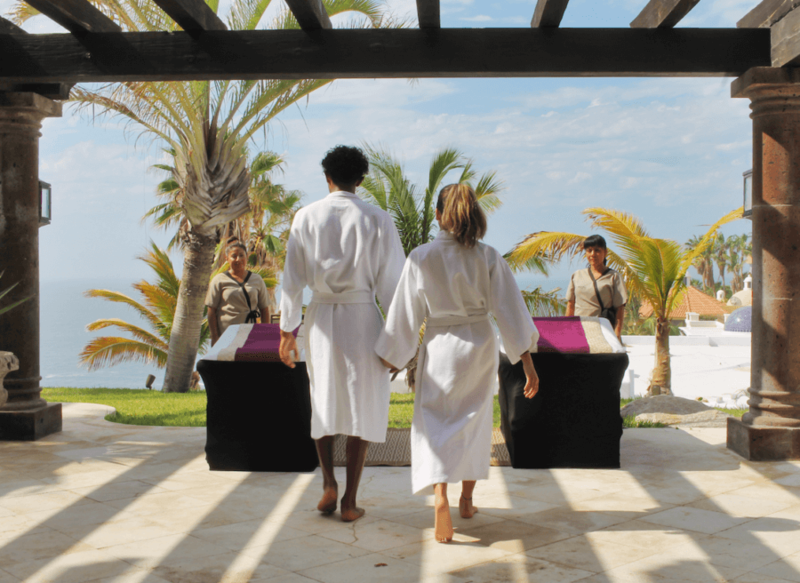 With that in mind, here are three of our favorite pre-wedding pampering ideas for brides in Cabo. There’s a lot that goes into organizing a wedding, so much so that even after you’ve found the perfect planner, there’s inevitably going to be some degree of stress and strain. There’s just no way around it: getting married is stressful! That’s the beauty of the early honeymoon concept. 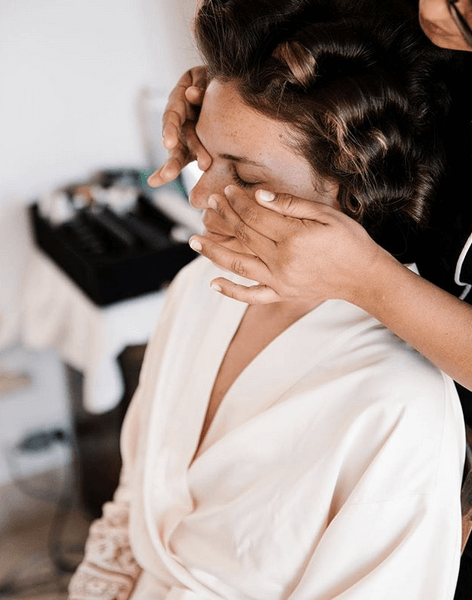 It puts brides in Cabo early – in a better position to deal with any last minute emergencies – but it also encourages them to take “relaxing” seriously, making it easier to maintain a serene and unperturbed state of mind: to look and feel their best on their biggest day. Spa services thus provide a major benefit in helping to alleviate pre-wedding day anxiety. Don’t believe us? Try the “Happily Ever After” package, a romantic pairing of side by side couples’ massages with aromatherapy oils and manicures and pedicures. After this gloriously intimate experience, he may propose all over again. How about a party for the bridal party? 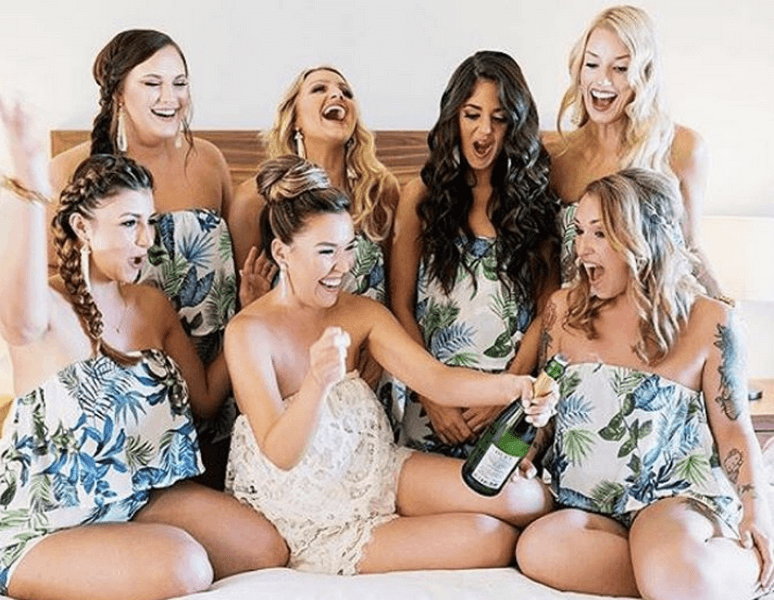 Whether poolside at your rented luxury villa, on the beach, or at your favorite local hangout, this pampering option is sure to be a hit with the bride and bridesmaids. In fact, why not invite moms and flower girls, too? In addition to providing hairstyling and makeup services for a dozen or more ladies prior to the ceremony, Suzanne Morel Face & Body Care is also proud to offer special spa packages that can be enjoyed by larger groups. Get the girls together at the time and place of your choice, open a few bottles of wine, and take relaxation to another level under the year-round Baja sun. One option offers 100 minutes of absolute bliss, with a half-hour devoted to a stress-relieving shoulder massage, 45 minutes to an uplifting and tightening facial, 10 minutes for foot foreplay with a reflexology massage, then a solid hour for a moisturizing coconut pedicure. Another option, meanwhile, boasts comparable pleasures: a scalp or foot massage, a full spa manicure, a polish change on the toes, and a refreshing mini facial. Those interested in an invigorating exploration of Mexican wellness culture can also request the Mayan Healing Ritual, a combo package that features a mango exfoliation, yoga movements, traditional massage techniques, and a revivifying cup of antioxidant tea. 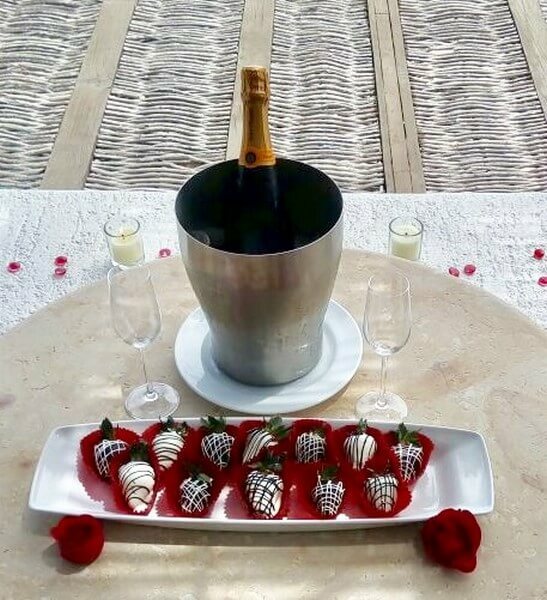 Relaxing time with your husband-to-be is at the heart of the “early honeymoon” concept, but dinners with family, nights out with friends, and meetings with your wedding planner will all have to be factored in to the destination wedding equation. As should time to yourself. Between all the pre-wedding planning, prep work and partying, you’ll definitely want to find some free time, some “just for the bride” moments. For those special occasions, Suzanne Morel Face & Body Care offers a deluxe, ultra-pampering “Here Comes the Bride” spa package, a magical blend of spa service essentials that ranges from full body exfoliation and a bamboo facial with 15 minute scalp massage to an indulgent Champagne manicure and pedicure. 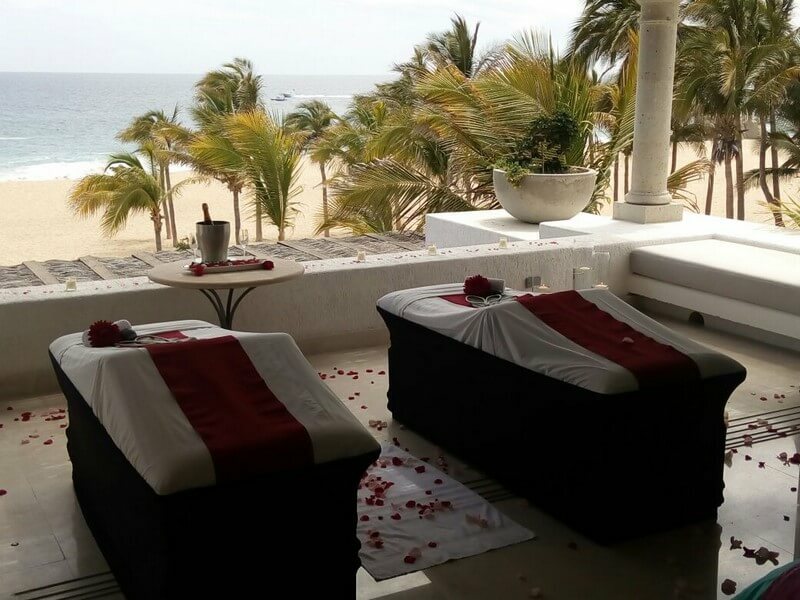 “Brides in Cabo” will definitely be ready for their big day after this memorable cosmetic and therapeutic interlude. And, in the interests of fair play, there’s also a “Just for the Groom” experience highlighted by a manicure and cleansing, purifying facial. Consider it a necessary part of the planning process, so the two of you can walk down the aisle together: tanned, rested, relaxed and ready. Afterwards, of course, comes the reception, and then the traditional honeymoon. When it comes to brides in Cabo, after all, Suzanne Morel Face & Body Care thinks every day should be a dream come true. This entry was posted in Blog, Cabo Bridal Hair and Makeup, Spa Services and tagged Cabo San Lucas Destination Weddings, Ideas for Brides in Cabo.